Landers Chrysler Dodge Jeep Ram of Norman, Oklahoma, has a huge inventory of Jeep Compasses for sale! 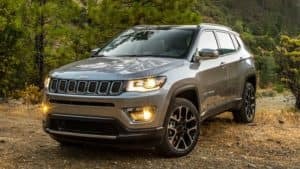 The ultimate SUV that can easily transition from every day drives to off-the-beaten-path rumbles, the 2019 Jeep Compass features a ton of exciting updates for its newest iteration! Built to perform and dripping with style, the all-new Jeep Compass is the sheer epitome of an excellent ride. Without any further ado, let’s dive into the details! Just click here to check out our selection! Technology: Brimming with unadulterated performance power, the all-new Jeep Compass has got some impressive brains to match. Arriving standard in the 2019 Jeep Compass is the Uconnect infotainment system, easily accessible via a beautiful 8.4” color touchscreen situated in the center of the dashboard. The Uconnect system also supports both Android Auto and Apple Carplay, so anyone with a smartphone can effortlessly access their information directly through the Compass’ stereo system. And thanks to Uconnect’s Voice Command abilities, you can easily access your phone, music controls, messages, and more — completely hands-free with just your voice. In the all-new Jeep Compass, it’s never been easier to stay connected and safe. Has the Jeep Compass navigated its way to your heart? 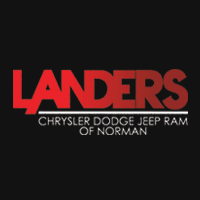 Head on down to Landers Chrysler Dodge Jeep Ram of Norman, we’ll point you in the right direction! Just click here.